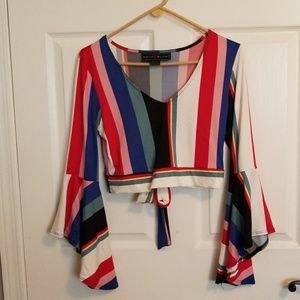 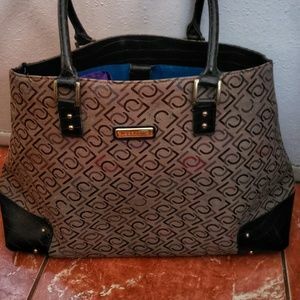 Pink and green tote by Liz Claiborne. 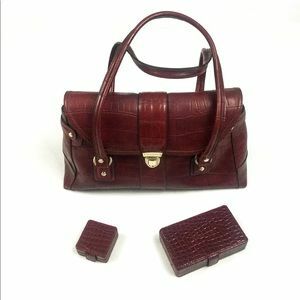 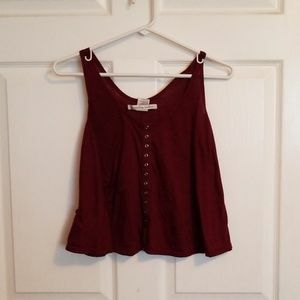 Magnetic snap closure with buckle embellishments. 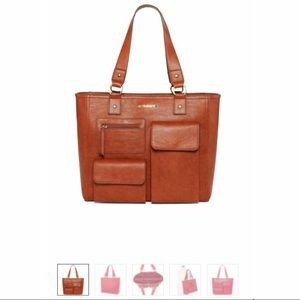 Compartments and pockets inside. 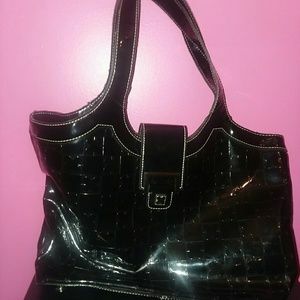 Size 11.5" height X 15" long. 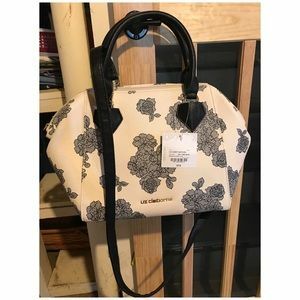 Cream and lace pattern purse. 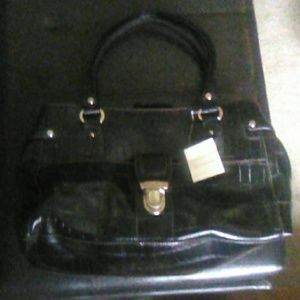 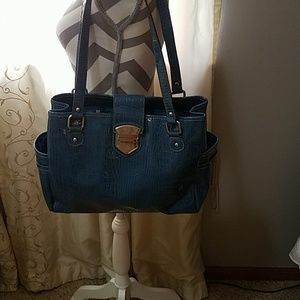 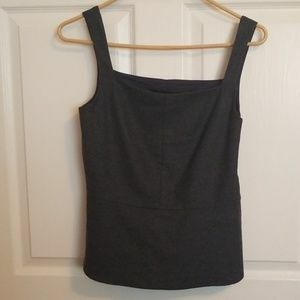 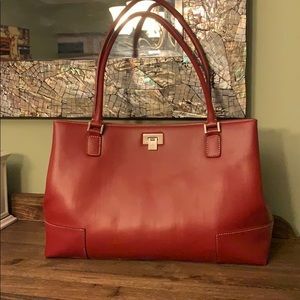 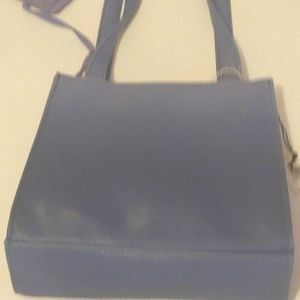 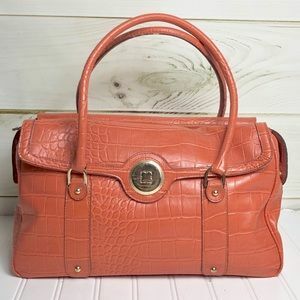 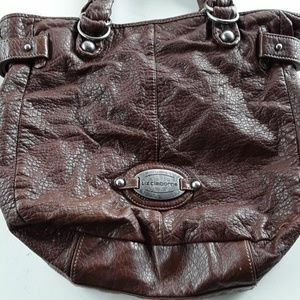 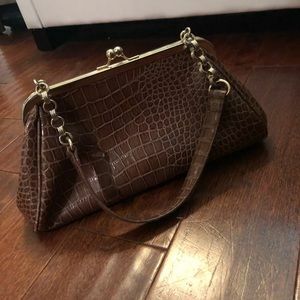 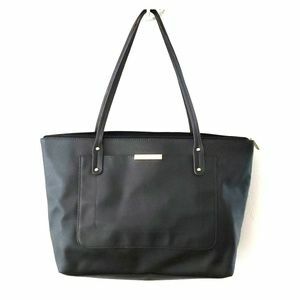 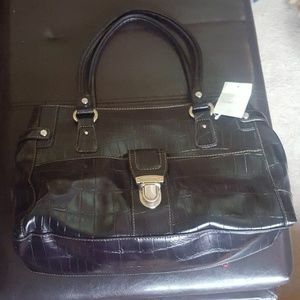 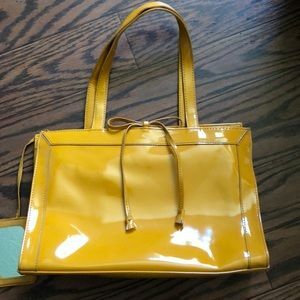 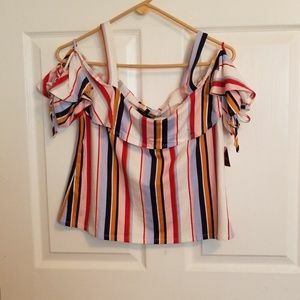 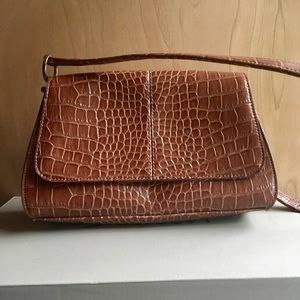 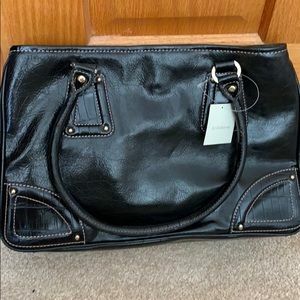 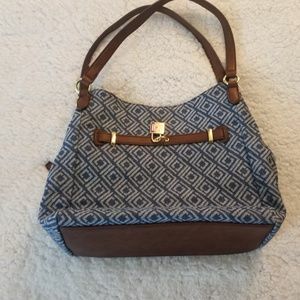 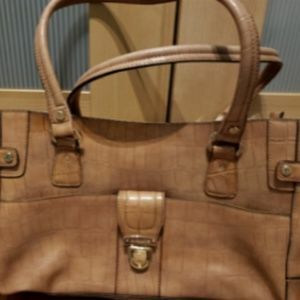 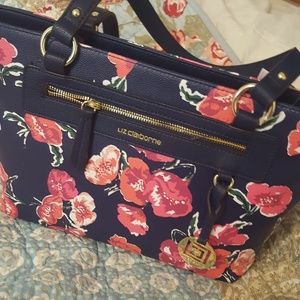 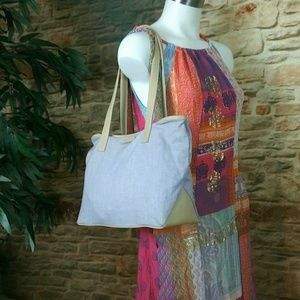 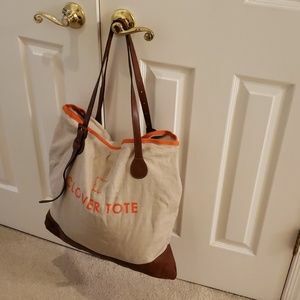 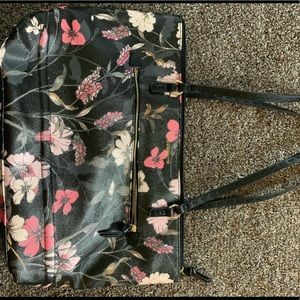 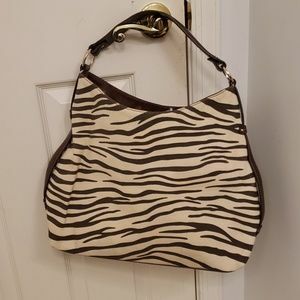 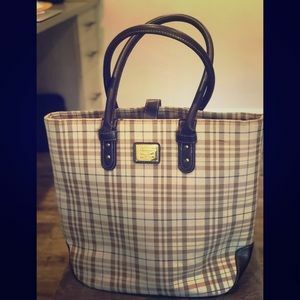 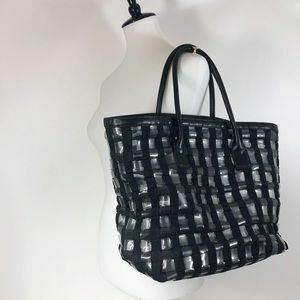 Liz Claiborne Work Tote Bag! 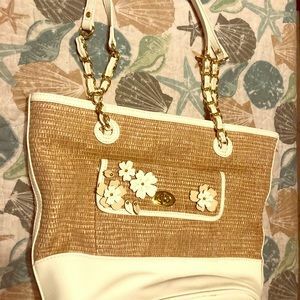 White!